Panasonic KX-NS300 Smart Hybrid PBX system is a cost effective legacy and IP communication system for small and medium size companies that can be flexibly configured and expanded according to your needs. The system starts with 6 analogue trunks 16 extensions (2 digital + 16 analogue) and expandable up to 128 extensions. 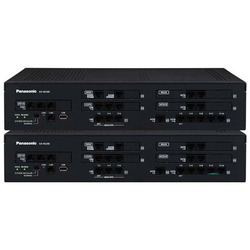 Looking for Panasonic IP PBX NS 300 ?